Wow, this seems to answer all my questions, thanks a lot! Now after readings all the materials provided and researching available photos, it seems to me that Cavalla can be build OOB from 1943 Gato and Tunny from 1942 kit. 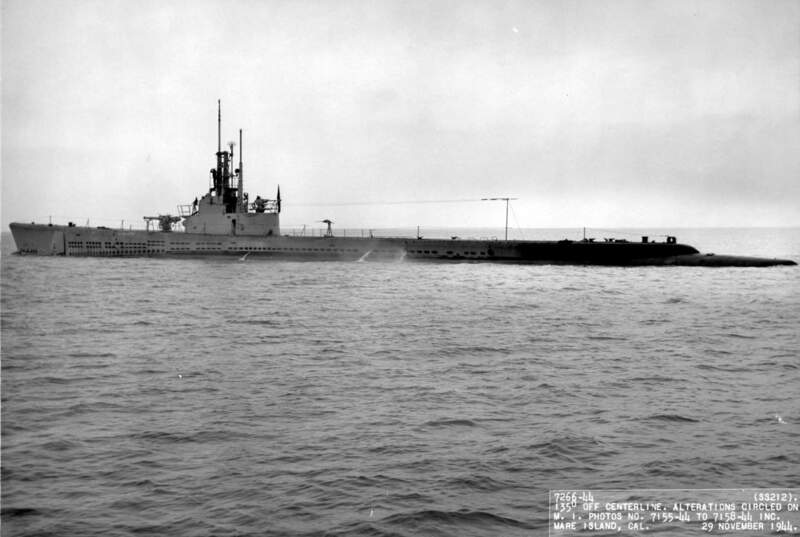 Another sub that interests me is USS Silversides. Based on available NavSource photos, it seems that during the overhaul at Mare Island the ship's AA armament was one 40mm Bofors gun and one 20mm Oerlikon cannon on the fairwater, plus a single Oerlikon 20mm gun on the main deck, behind the fairwater. On the other hand, Silversides as preserved nowadays does not have the Oerlikon on deck. 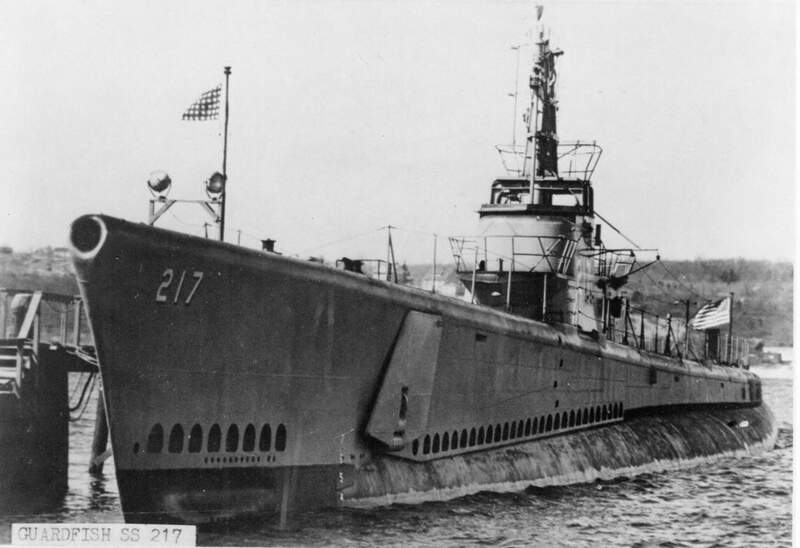 Is it possible that in a certain period during war Silversides was armed just like it is now as a museum ship? 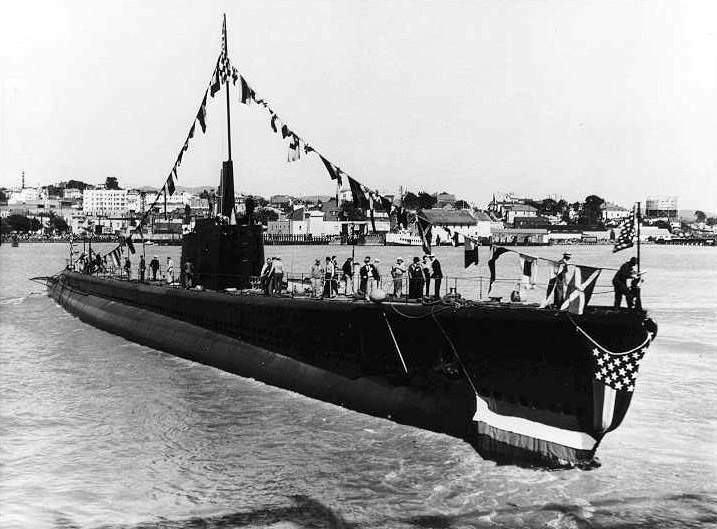 Silversides was a Mare Island built submarine. 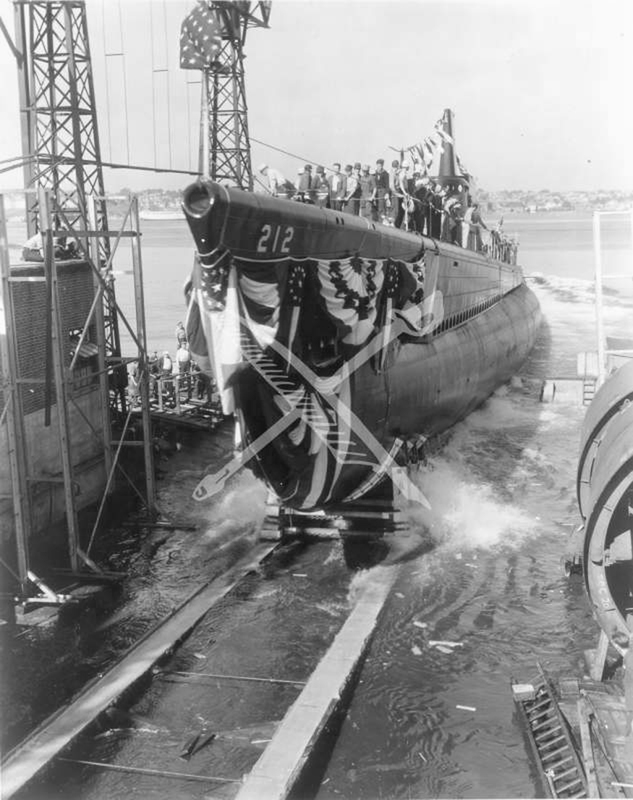 Boats built at Mare Island, Portsmouth and Cramp shipyard employed "government plans". The limber holes along the side were very different (rows of horizontal slots) from submarines using the Electric Boat plan set (EB and Manitowoc yards). The limber holes on EB plans were horizontal "D" shaped with the straight end at the bottom. During the war, the conning tower fairwater configurations, armament (guns, large & small, and gun locations) and radar, radio antenna outifttings changed constantly. 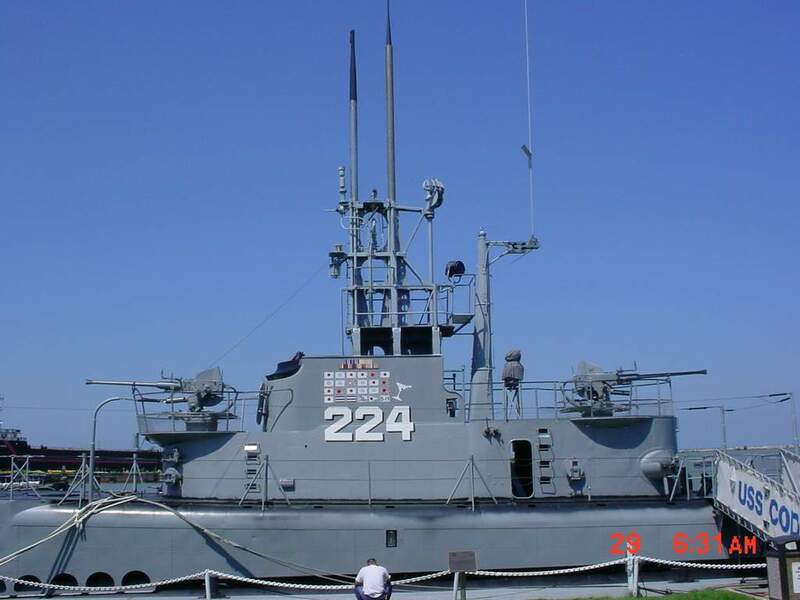 Original Gatos had large enclosed conning tower fairwaters which were gradually cut down to reduce the silhouettes, especially at night. 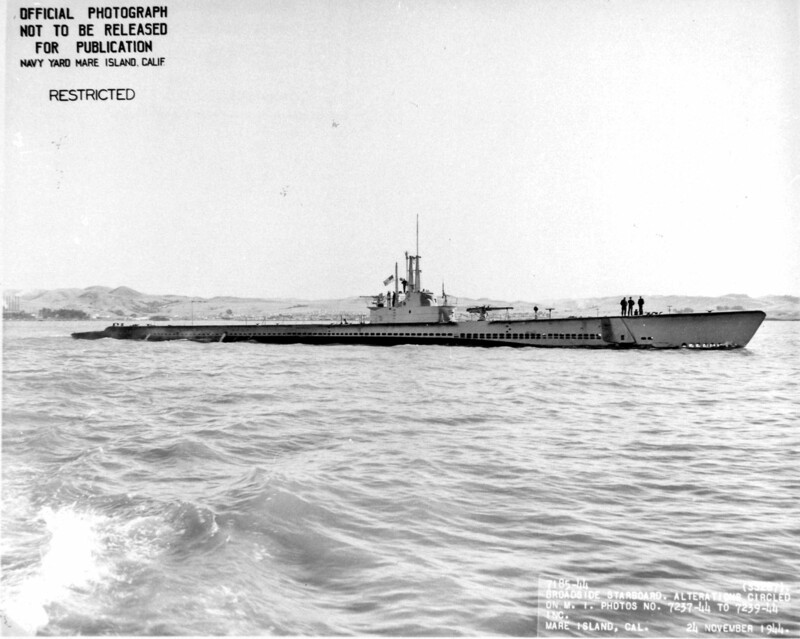 Subs began the war all black (Ms 9) and then had gray, black & white camo (Ms 32) schemes. Different subs had different configurations at different time points. 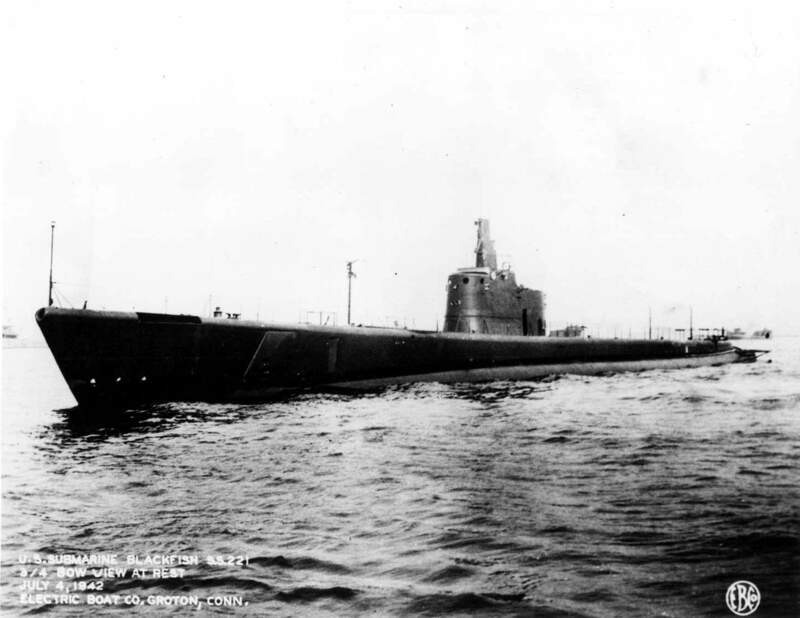 The later Balao and Tench classes had very different and much smaller and open fairwater configurations. Just like most other exterior details on fleet subs, I've seen enough to know that they varied from boat to boat, so I'm specifically looking for data on Blackfish's arrangement. I can use some help from the fleet boat experts. I understand that the limber hole patterns identify EB plan and Government plan boats, and that some of the earliest Gatos had anchors on both sides which was quickly reduced to one. I thought that then all Navy yard boats had an anchor on the port side. While it is possible, I can't imagine that many photos would be mislabeled or reversed. So, did a number of Government plan boats have starboard anchors? Was it only Mare Island boats? Was it only late war after the fairwater was cut down? Any help / clarification would be appreciated. There is a section at the end addressing anchor placements. Wow, Johnston's article is amazing. Thank you. I am still digesting it all, but it appears that hull of the AFV Gato with the anchor on the "wrong" side can be used to build Trigger, Silversides or Wahoo. ModelMonkey has produced a Balao fairwater and someone else has a 1/350 5”/25 Mark 40, so that information might be useful in the very near future. Now, does anyone sell (3-D printed or resin) a 1/350 20 mm with Mark 10 (not cast) mount? I'm about to start work on a 1/200 model of the Barb. I'm debating as to which time period: late 1944 or spring 1945, after her last big overhaul. I have plenty of references for the '45 version, wherein she carried a 5"/25 aft, a single 40mm & twin 20mm on the fairwater, and sported a separate SD mast on the cigarette deck. If I had to guess, I would assume she still had a 4" gun forward, a twin 20mm on the cig deck, and no separate SD mast. No idea if it was another 20mm or the single 40mm in the forward fairwater location. I would appreciate assistance in confirming her Dec. '44 layout, thanks. 4″/50 Gun is mounted forward, and SJ radar is mounted in front of the periscope shears; omnidirectional SD antenna behind the shears. Jan. '44 is pretty early. Were any changes made before Dec.? No, at least not any major changes. The last major changes during the war were made after her 11th patrol from 19 December 1944 – 15 February 1945. 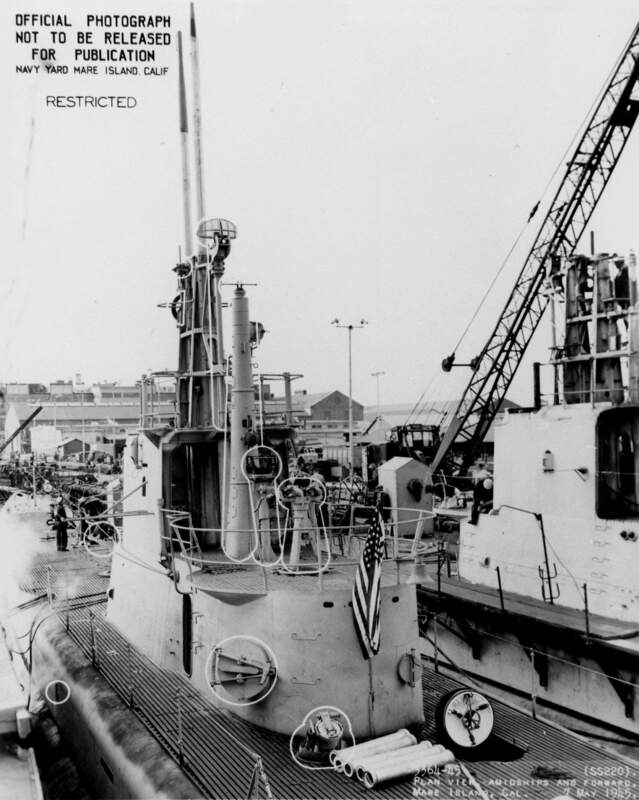 The 5/25 gun and other alterations were made in an overhaul beginning in February 1945. It was also at this point that the rocket launcher was installed. Her 12th and final war patrol with the latest alterations began in June, 1945. Does anyone know if "bells" were used to signal time on US submarines the same way as on surface ships? Riich Model's Gato may be impressive, but it sure is lacking weapon options. Do you know any after-market source of suitable single mount of 40mm and 5"/25 guns? Especially when navigating at depth! Shapeways has 1/200 scale in both 5" and 40mm. Question for you guys: does anyone have accurate color charts for the submarine camouflage colors used in the Measure 32 patterns? Most of the mass-production literature (like Squadron books) define the colors along the same lines as those developed for the surface ships ("Haze Grey 5-H", "Ocean Grey 5-O"), but the official camouflage sheets from Tracy White's website and the Floating Drydock photobooks describe an entirely new set of colors I've never seen reference of before anywhere else. The greys are described in numbers ("#16 Medium Grey", "#11 Dark Grey", #7 Very Dark Grey", etc).